Lithgow Motor Speedway was programmed to open in December of 1926, how ever that meeting was postponed until the 27th of January 1927 when the speedway opened to a large crowd, Len Jones won the championship of the west and some fine racing was witnessed. Lithgow Motor Speedway was a short lived venue operating between 1926 through to 1928. 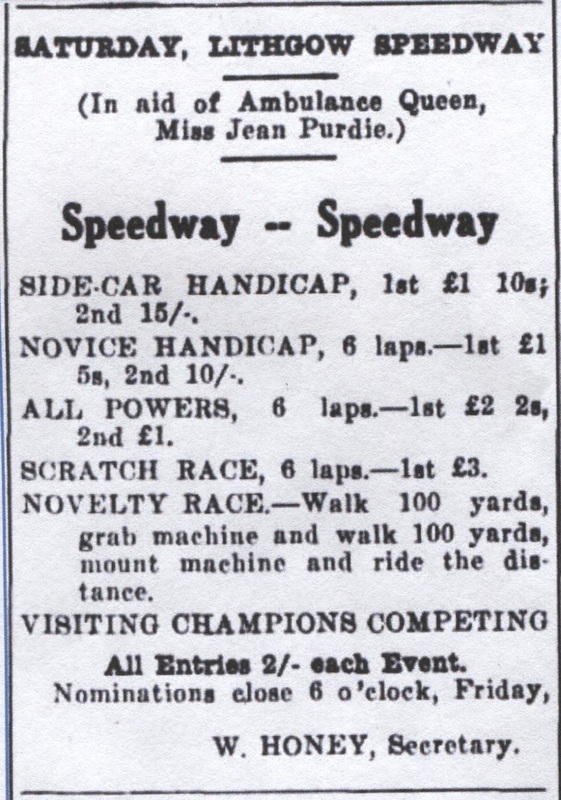 The star of the show was Lithgow's own Len Jones, Jones also travelled and raced at other venue's such as Dubbo and Bathurst, Jones is also reported to have won a Golden Gauntlet at the Sydney Showgrounds in 1926. 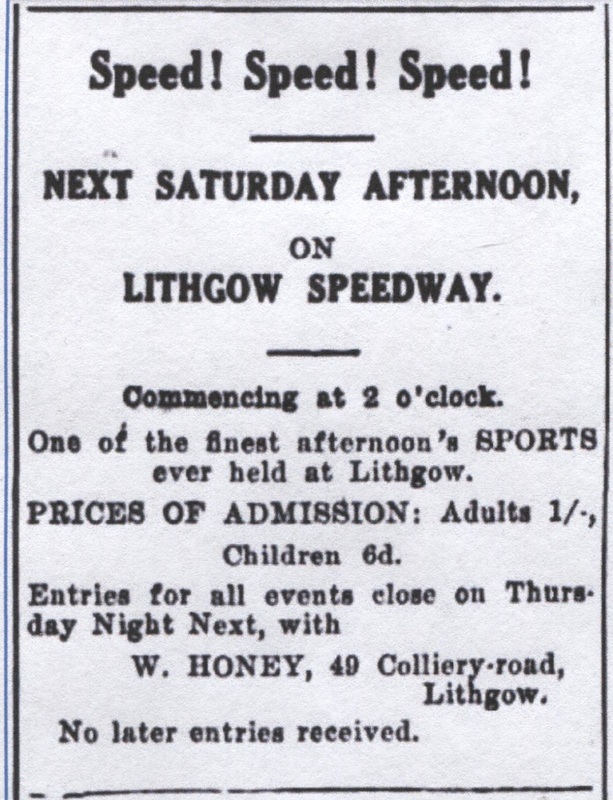 In 1955 a submission was put forward to the Lithgow Shire Council that stock car racing be held at the showground, That venture never went ahead and one suggests that the proposal may have been rejected. In the 1960's Lithgow had a short lived Short Track circuit named Donnybrook, This venue ran through to the 1970's when it was replaced by another short circuit venue called Marrangaroo.